Rising feed cost, volatile market conditions, tighter margins…as a pork producer you have enough to worry about. Work with a team of professionals that understand as feed costs rise and margins shrink, nutritional efficiency becomes the difference between profit and loss. 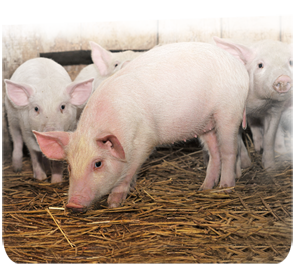 Crystal Creek’s line of swine products are developed using the highest quality ingredients and innovative formulation strategies that translate to higher nutritional efficiency and improved return on investment.